It’s a coveted event and televised property that provides advertisers with a buzzworthy, one-day PR platform that most definitely drives awareness and water cooler chatter for brands, but it comes at a hefty price tag (approximately $5MM for a :30 spot). As the excitement builds for the big game, it’s important to note that almost 8 in 10 sports radio listeners say their local sports radio station is their main source of Super Bowl news and over 9 in 10 (94%) sports radio listeners watched some or all of Super Bowl LI in 2017. They were also tuned in to Westwood One’s Super Bowl LI broadcast – to the tune of 27.7 million listeners (P12+ estimate). Motel 6 landed the top two spots with Tom Bodett, the voice behind the brand of Motel 6, shining through in these ads by provoking laughter as he tries to appeal to millennials by using slang-filled language you can hear by sitting around any of the teen members of your family or visiting a mall food court. The second place ad was boasting the key themes about the Motel 6 brand that we often think of -- comfortable, affordable and family friendly. Hagerty Insurance took listeners down memory lane to reflect on the feeling of having their first car. 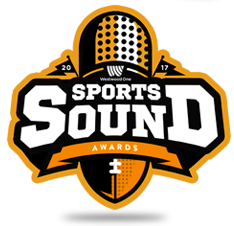 You can listen to all of the spots at www.thesoundawards.com. Congratulations to all of this year’s winners and those that continue to show us the power of artistic brilliance in radio.